Artwork by the family Green! 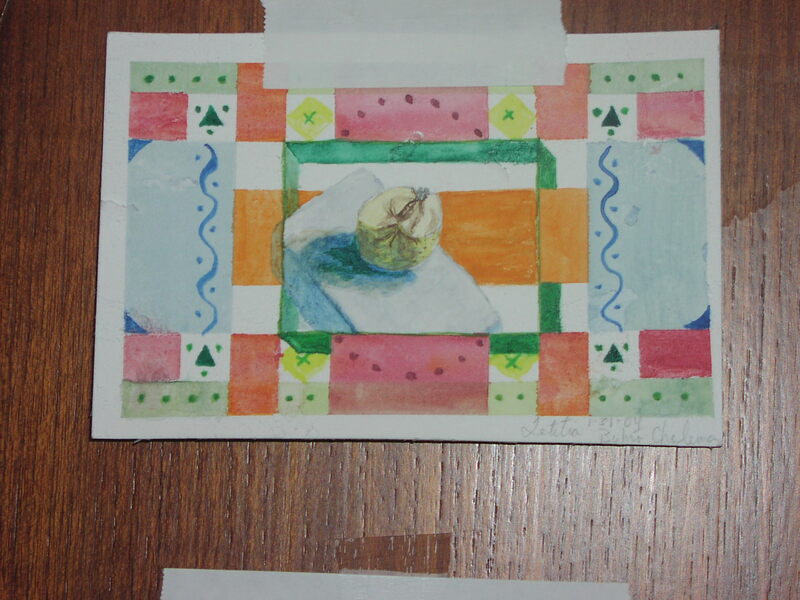 UP-DATED: with new pictures, and better pictures of previous works on FEBRUARY 22, 2004! This is a sampling of the artwork produced on our trip! What fun to be able to draw what we see, even if sometimes it doesn't look exactly like what we saw! Things to do on a long voyage! 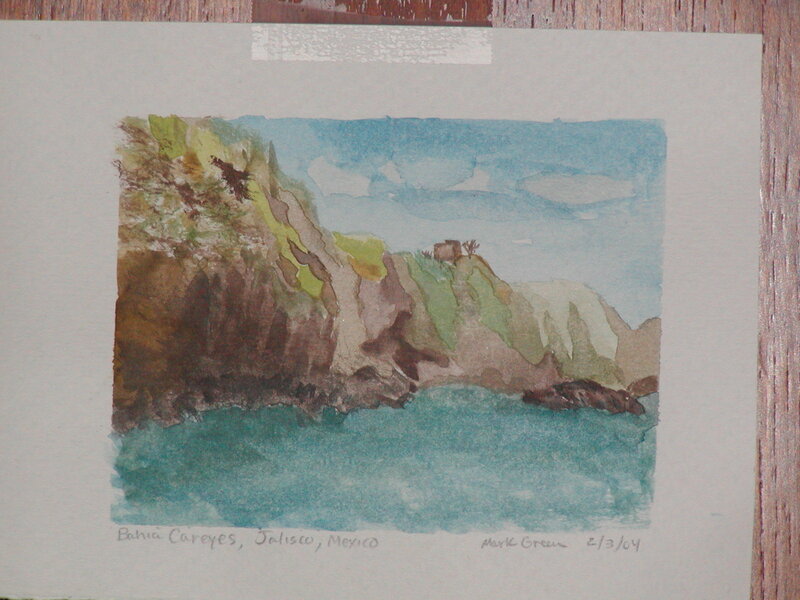 Mark's Bahia Careyes water color! His first. We are all very impressed! Not very clear photograph. 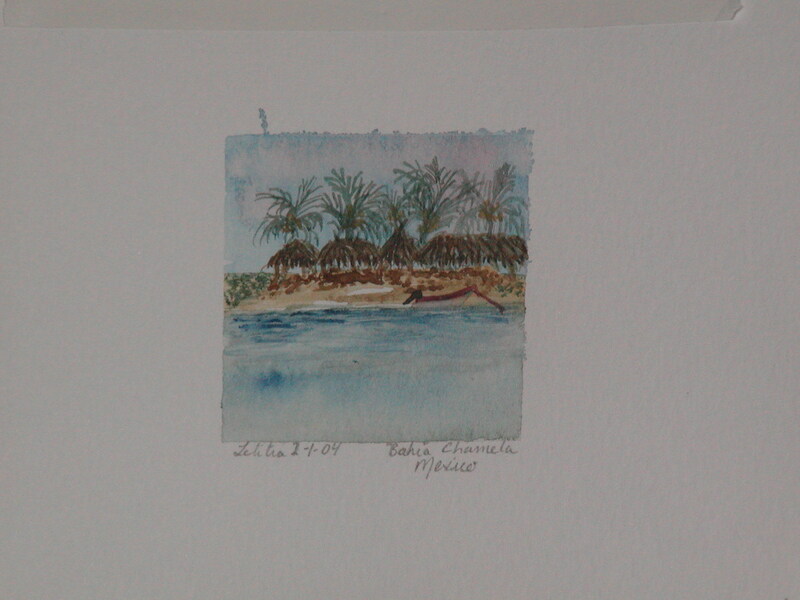 Watercolor by Letitia from memories of Bahia Tortugas. 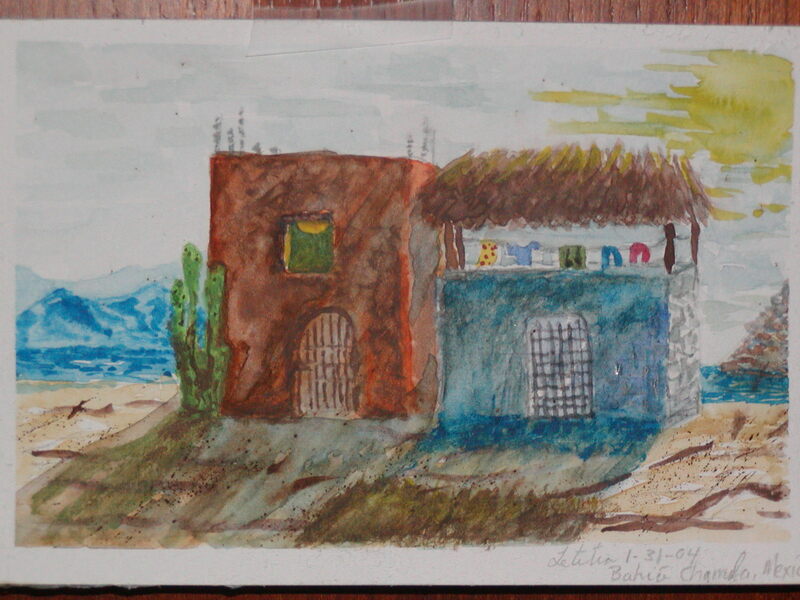 A small watercolor by Letitia of Bahia Tenacatita. 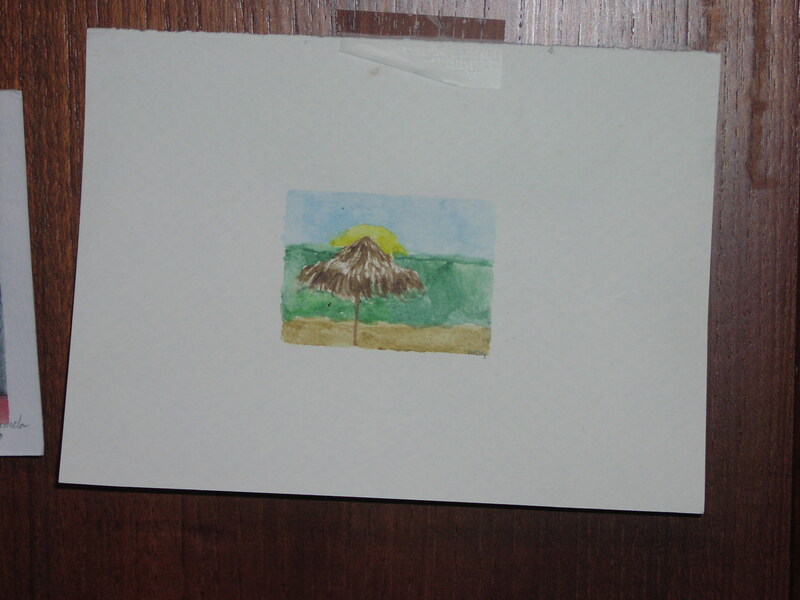 A small watercolor by Meagan! Her beach scene! 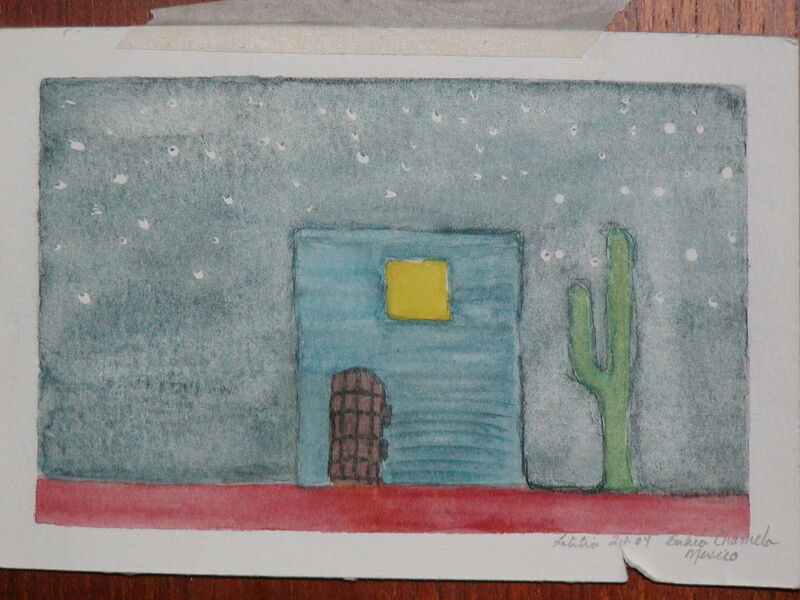 A middle-of-the-night water color of an apple, by Letitia. 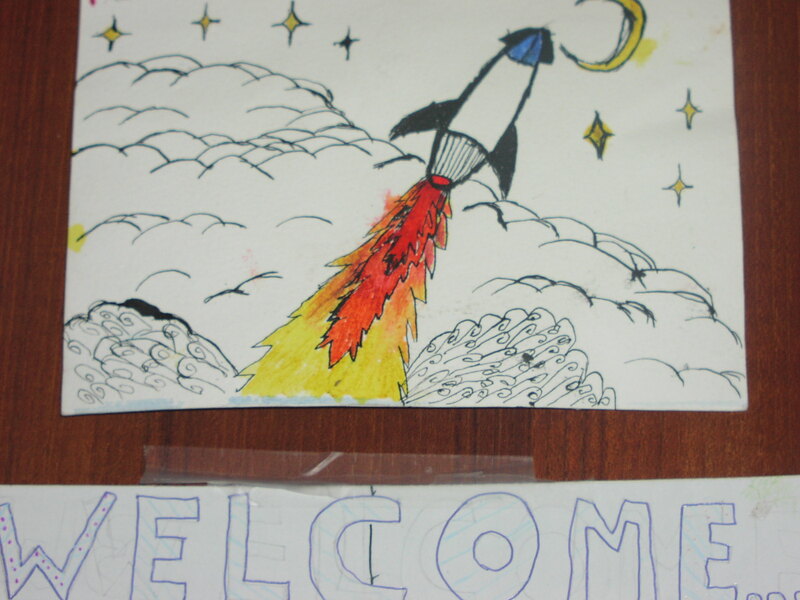 An ink drawing by Kelvin of a rocket ship! A combined parental effort. 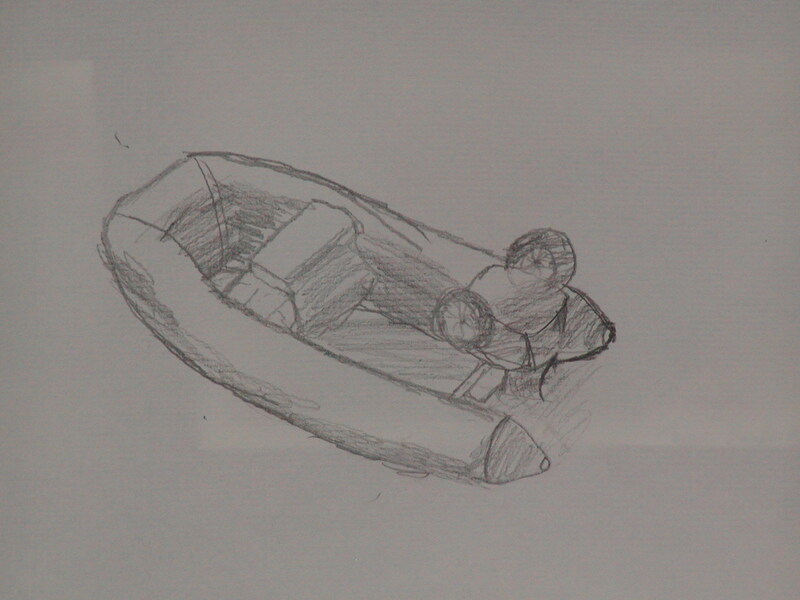 Mark sketched this wonderful dittie! It is of the Grand Bay Resort, Isla Navidad, in Barra Navidad, Mexico. 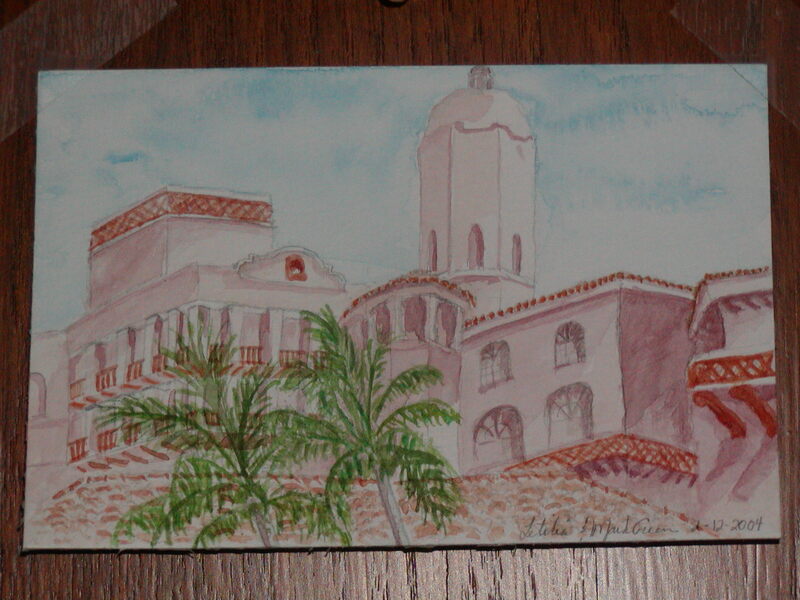 Letitia watercolored it! What a team! All things science, and, like brother, like sister. 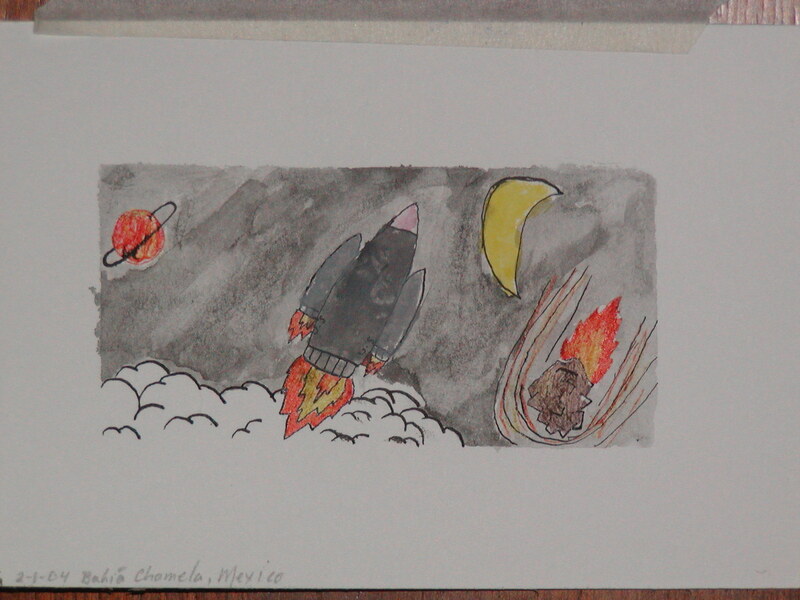 Meagan inked then watercolored this space scene! Kelvin's contribution. 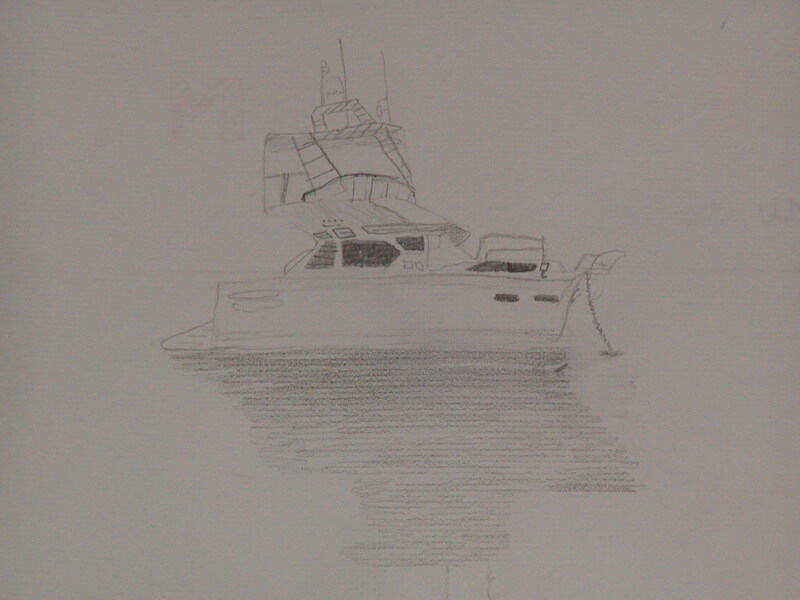 Class assignment: go on deck and sketch any boat in the harbor from where ever you are sitting. Kelvin did this of our dinghy, in the water next to our slip at Grand Bay Resort Marina, Isla Navidad, Barra Navidad, Mexico. Meagan's contribution for this class assignment. The power boat next to ours! 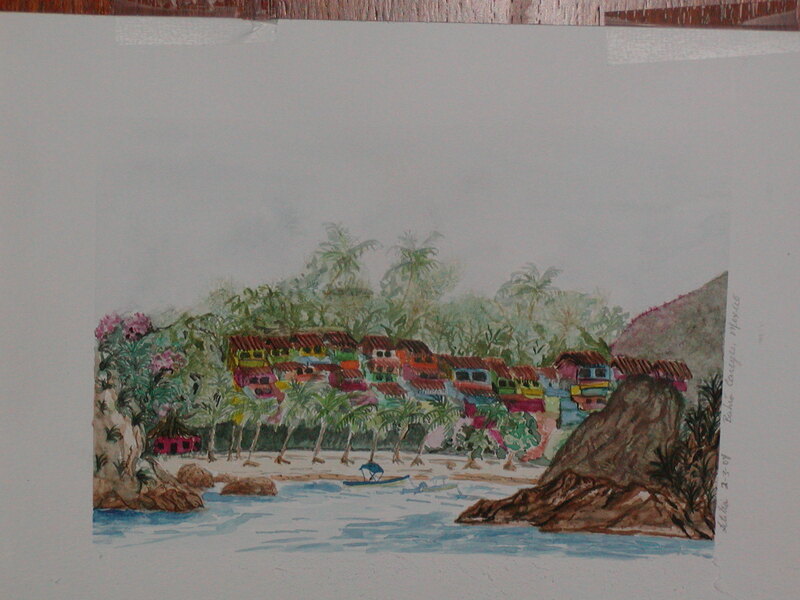 Letitia's rendition of Bahia Careyes, that beautiful little cove with the resort and bungalows for rent on the Gold Coast of Mexico. We will definitely go back there for a vacation some day, the resort that is! 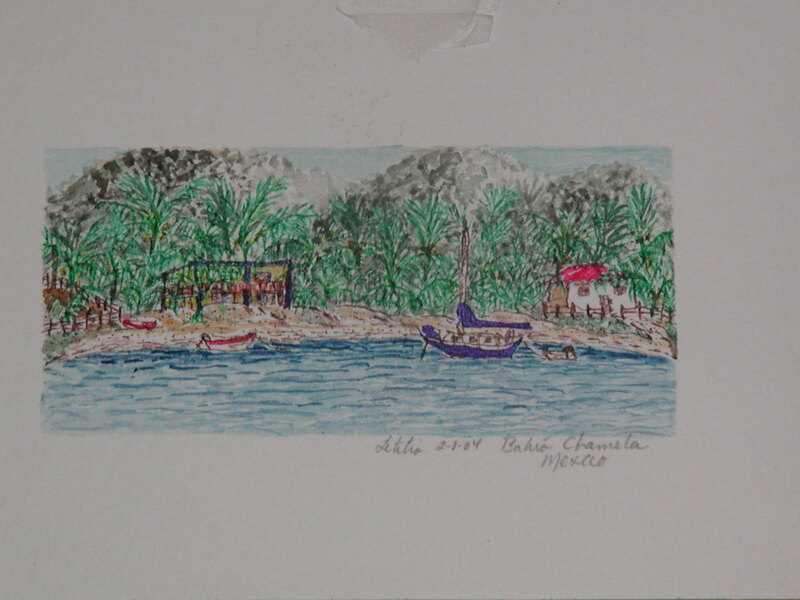 A little pen and ink, watercolor by Letitia of Bahia Tenacatita. Not my favorite, but then when you paint, not much is!